You’re reading novel Dragon-Marked War God Chapter 37 – A Young Maiden’s Heart online at LightNovelFree.com. Please use the follow button to get notification about the latest chapter next time when you visit LightNovelFree.com. Use F11 button to read novel in full-screen(PC only). Drop by anytime you want to read free – fast – latest novel. It’s great if you could leave a comment, share your opinion about the new chapters, new novel with others on the internet. We’ll do our best to bring you the finest, latest novel everyday. Enjoy! The Qi Sea was trembling.Four solid, blood red Dragon Marks were wiggling simultaneously with a blinking fifth Dragon Mark. With a slight movement of the Dragon Mark, strong qi and blood were unleashed from Jiang Chen’s body.The huge amounts of energy would make anyone observing this drop their jaws. It was incredible that a man’s qi and blood could be so vigorous.It was so strong that it could even be compared to some ancient beasts. Jiang Chen thought to himself.A real dragon was a species born from the G.o.ds.It sat on top of all other beasts, and it was an existence that no beast could compare with.But, a real dragon could no longer be found in the Saint Origin Continent.Jiang Chen’s wish of acquiring some authentic dragon blood to use it to cultivate with the Dragon Transformation skill was only a dream. Jiang Chen stood up from where he sat.The benefits of this trip to Red city was great.The decision of joining the Misty Rain Tower caravan had proven to be a good one.If he didn’t, then it would take him a lot more time to get the Soul Refining Pill. 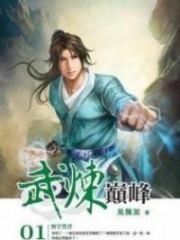 Right now, not only was his soul completely recovered, but he has also reached the mid Qi Hai realm.With his current level, he could even fight some early Mortal Core warriors.As for the other Qi Hai warriors, he could instantly kill them without giving them any chance to resist. Jiang Chen walked out from the courtyard and saw two old men standing far away from him.They had been placed there by the Yan family to wait for Jiang Chen to finish his recovery.Jiang Chen knew these two men as they had been with him near the caravan as well.They were standing exactly 100 footsteps away from the courtyard. Jiang Chen smiled and praised Yan Zhan Yun in his heart for his hospitality. He started walking towards them.When the men saw Jiang Chen, they instantly expressed the joy on their faces. Yan Xing came forward hurriedly and bowed politely to Jiang Chen as a sign of respect.Two days ago, they had come to know that Jiang Chen was going to cure Yan Chen Yu.That was why they were so polite to him. There was only a few people in the Yan family who knew about Jiang Chen’s real ident.i.ty.After all, Jiang Chen hadn’t cured Yan Chen Yu yet.Because of the relations.h.i.+p between Jiang Chen and the Lee family, the Yan family didn’t want to let too many people know about Jiang Chen. After saying that, Jiang Chen turned around and walked back into the courtyard. Hearing this, Yan Xing immediately felt a strike of joy and left with haste. 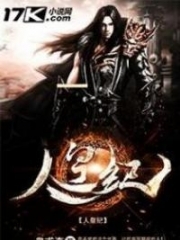 Not long after that, Yan Zhan Yun, Yan Hong Tai, and the rest of the Mortal Core warriors came with haste, Yan Chen Yu following behind them too. Yan Chen Yu looked more haggard than the day before.The chilling cold and the Yang energy in her body were colliding and consuming her life force every single second.If she wasn’t healed in time, then there was no possibility of her to living past the age of 15. Yan Zhen Yun and the rest came straight into the room and saw Jiang Chen casually sitting on a chair. Looking at Yan Chen Yu’s haggard look, Jiang Chen felt some pain in his heart. Yan Zhan Yun waved his hand and took out dozens of herbs from his bag, placing them all on the table in front of him. Jiang Chen stood up slowly.A Yuan energy started flowing out of his body, and under the control of the Yuan energy, the herbs started floating into the air. He flipped his palm, and a fiery flame appeared in the thick air.Under Jiang Chen’s control, the flame was dancing like dragons made from fire. An old man was shocked by Jiang Chen’s actions.He was the best alchemist in the Yan family, and although he was a Mortal Core warrior at the mid stage, he was still unable to control any kinds of fire.He still needed to use a furnace when concocting pills. Jiang Chen unleashed some Soul Energy and merged it with the flames.Dozens of herbs were thrown into the flames all together by Jiang Chen. The alchemist almost shouted out.The process of getting rid of impurities was the most important step when concocting pills, especially when concocting a pill like the Cleansing Pill.It was very difficult to get rid of all the impurities.If he was the one concocting pills, he would have removed the impurities in the herbs individually.What Jiang Chen did was throw all the herbs in together.This method of purification was almost impossible to use as it would require almost perfect control over one’s soul. Yan Zhan Yun and the rest were shocked as well.Although they were not alchemists, they had seen alchemists concocting pills before, and they had never seen anyone do it like Jiang Chen. Everyone was staring at each other with unbelievable looks in their eyes.It was hard to imagine a 15-16 year old young man having such incredible skill with concocting pills. This was a man with extraordinary talent! The herbs were burning hot under the flames and were making crackling sounds.The impurities in the herbs disappeared with great speed.Jiang Chen kept staring indifferently at the flames.He had a casual yet serious look on his face. Yan Chen Yu who was standing in the corner stared at Jiang Chen with her beautiful eyes while he was concocting the pill, lost in contemplation. 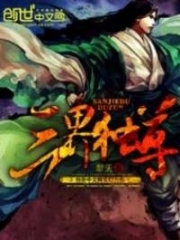 Conscientious men were the most compelling.Every movement Jiang Chen made was accompanied by a dominating feel that only men had.Yan Chen Yu was suffering from the chilling cold and had to stay indoors every day.She never had the chance to exit the Yan family’s compound, and she had never met any man outside of the Yan family.Jiang Chen was the first one she had met, and he was here to save her. Twenty minutes later, Jiang Chen lightly shouted out as he retracted his Soul Energy and flames.A milky white pill could be seen spinning in front of him. The Yan family’s alchemist went from being surprised to being terrified.After seeing how Jiang Chen concocted the pill with his own eyes, he had a feeling that he had wasted all his years. This was what everyone was thinking about at this moment.This young man in front of them would have a bright future.Forget about all his other abilities, just his abilities as an alchemist was enough to live a king’s life. The reason why Jiang Chen showed them how he concocted pills was to show them his value.After all, the hidden‘Heavenly Core’warrior in the Jiang family doesn’t exist.If he could get the Yan family to help him, then the Lee family would not be a threat anymore. His eyes stared at everyone in the room.All of them had a strange feeling that with just one look from Jiang Chen, they had to obey his orders, and this was really strange. Yan Chen Yu said with a smile. Yan Zhan Yun held his fist as he spoke to Jiang Chen.Afterwards, he gathered all of the men and left the room, shutting the door as they left. Yan Hong Tai said as he patted Yan Zhan Yun’s shoulder.Yan Zhan Yun nodded his head and took a deep breath.If he told others that he wasn’t worried, that would be a lie. A few of the Mortal Core warriors were guarding the courtyard, not daring to leave this place. Within the room, Jiang Chen was standing opposite of Yan Chen Yu. Jiang Chen then handed the Cleansing Pill over to Yan Chen Yu. Yan Chen Yu took the Cleansing Pill, but her hand trembled as she accidentally touched Jiang Chen’s fingers. A curve appeared on Jiang Chen’s mouth as he smiled brightly..
Yan Chen Yu nodded head.This was just the second time she had met Jiang Chen, and she didn’t know why this young man who stood in front of her gave her such a strong sense of security. Yan Chen Yu consumed the Cleansing Pill.After, she raised her head and looked at Jiang Chen. Yan Chen Yu followed Jiang Chen’s directions and sat down on the floor. Jiang Chen squatted down and sat opposite of Yan Chen Yu.Both their eyes met, and a blush graced Yan Chen Yu’s pretty face. Yan Chen Yu nodded her head.She had been suffering from the chilling cold for eight years. Hearing Jiang Chen mention the Spirit Gate, Yan Chen Yu immediately felt shy.The Spirit Gate was one of the most vital points for humans, and it was very important.It was located right at the belly b.u.t.ton. The Dragon Transformation skill was able to absorb all kinds of energies.What Jiang Chen intended was to use the Dragon Transformation skill to guide the Yang energies in Yan Chen Yu’s body into his own from the Spirit Gate. Jiang Chen obviously didn’t know what Yan Chen Yu was thinking about.He pointed his finger and suddenly touched Yan Chen Yu’s Spirit Gate.There was a very soft and tender feeling on his fingertip, and he couldn’t help but become a little amorous. Jiang Chen shouted coldly.Yan Chen Yu’s situation was very tricky.He couldn’t afford to make any mistakes while healing. Yan Chen Yu didn’t dare to disobey, so she immediately closed her eyes. Yuan energy and Jiang Chen’s Divine Sense flowed into Yan Chen Yu’s body from her Spirit Gate. You're reading novel Dragon-Marked War God Chapter 37 – A Young Maiden’s Heart online at LightNovelFree.com. You can use the follow function to bookmark your favorite novel ( Only for registered users ). If you find any errors ( broken links, can't load photos, etc.. ), Please let us know so we can fix it as soon as possible. And when you start a conversation or debate about a certain topic with other people, please do not offend them just because you don't like their opinions. You're reading Dragon-Marked War God Chapter 37 – A Young Maiden’s Heart. This novel has been translated by Updating. Author: Su Yue Xi already has 15457 views. Current Time is Apr-22-2019 18:08:06 PM.